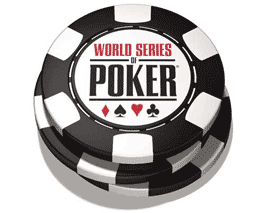 On Thursday, while participants were busy playing gold-bracelet poker tournaments at Rio All-Suites Hotel & Casino, in Las Vegas, officials at World Series of Poker (WSOP) made public the 2015 -2016 schedule of their regional circuit events. Running its 12th season this year, the WSOP Circuit will keeps going global and will serve poker fans around the world from early August 2015. The festival will conclude in May 2016 with the season-ending WSOP Global Casino Championship. Of course, this ultimate battle will take place in Las Vegas. The kick-off event of the WSOP-C Season XII will be held at Foxwoods Resort Casino, in Connecticut, from August 6 to 17, 2015. Late the same month, another stop will be held at Horseshoe Baltimore, in Maryland. Then the WSOP Circuit would land in Florida while running another stop at Palm Beach Kennel Club. The forthcoming stops will respectively be held in Chicago, Nevada, Las Vegas, North Carolina, Los Angeles, Dallas, Oklahoma City and Mississippi. Next year, on February 4 to 15, 2016, the Circuit will fly back to Palm Beach Kennel Club in Florida with a totally new agenda. The WSOP-C Season XII will also make the trip to Atlantic City, New Jersey, Baltimore, Omaha (Iowa) and Louisiana. It is worth noting that events parts of the WSOP Circuit are almost accessible with pretty reasonable entry-fees. Speaking of the WSOP international circuit events schedule, the inaugural stop will be played at Casino de Campione in Italy from September 16 to 30, 2015. The stop run at King's Casino Rozvadov in Czech Republic from November 1 to 8, 2015, is also among the series highlights.